Consider the lager. Lagers are typically brewed at a low temperature to allow the yeast to reach its maximum flavor potential. The lower temperatures cause the lager to ferment at a much slower rate than ales. However, the results are a brew that is clearer than ales, which are brewed at higher temperatures. Lagers are brewed using the yeast called Saccharomyces uvarum. It does not rise to the top like the yeast used in ale but does end up at the bottom once fermentation is reached. This particular yeast does not sporulate as a result of being a more fragile yeast. Thus, making it perfect for lagers because of the cooler temperatures used for brewing. The more fragile type of yeast used in lagers contains less alcohol content. This is a result of not being able to thrive in the lower temperatures for as long as the ales. Consider lagers considered. 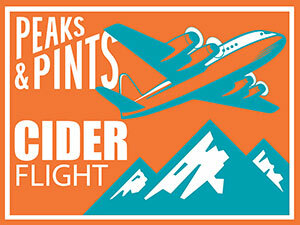 Now let’s drink different types of lagers in our beer flight, Craft Beer Crosscut 4.9.19: A Flight of Lager Beers. 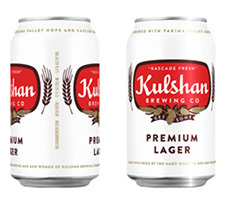 Kulshan Brewing grabbed gold at the 2017 Washington Beer Awards for its Premium Lager. Now a year-round offering, the canned craft beer is light and refreshing lager with just enough crispness to balance the malts perfectly. Subtle grain and light hop aroma adds to this thirst quenching beer. Made with Mt. Rainer hops, its aroma is full of straw with grains and bread backing. Flavor is similar with straw, some sweet grain and a bit of bread. Everyone loves a good Pilsner and this one’s a classic. 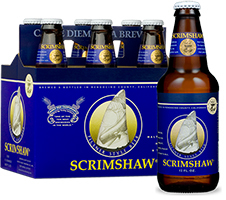 Named for the delicate engravings popularized by 19th century seafarers, North Coast Brewing’s Scrimshaw is a fresh tasting pilsner brewed in the finest European tradition using Munich malt and Hallertauer and Tettnang hops. It pours a honey gold with a frothy, white head. Grains and soft hop notes abound in the aroma. The swallow is closer to a pale ale, starting with ample two-row malt sweetness, followed by lemony, zesty hop tastes. The perfect carbonation and light body create a smooth, creamy mouthfeel with a crisp, dry finish and mild fruity aftertaste. It’s not trying to do anything fancy — it’s just a very well-balanced pilsner. It’s not a hop bomb, or a malt showcase. It’s just clean, thirst-quenching lager. 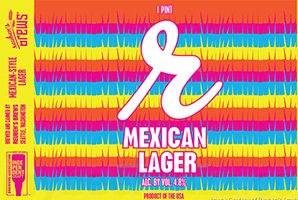 Modern Mexican lagers find their origin in the late 19th century when German and Austrian immigrants began brewing the beers of their homeland in Mexico. When Austria’s Maximilian I declared himself emperor of Mexico in 1864, he brought his nation’s newly beloved Vienna lager with him. The beer proved more popular in Mexico than Maximilian, who was executed just a few years later. The Vienna lager became the dominant beer in Mexico entering the 20th century. 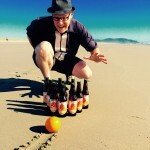 From the moment you shove your nose in a pour of Reuben’s Brews‘ Mexican Lager, you’re immediately greeted with all the notes you’d expect from a traditional Mexican beer — grain husks, dried maize and a strong whiff of sulfur. This lager is crisp with light malt notes, slight corn sweetness and, of course, low bitterness. There is a smiling monk and an English gentleman on the label for the Salvator. What’s not to like? Answer: nothing. This is delicious. The Paulaner Friars invented the doppelbock 400 years ago, and is actually the founding beer of Paulaner. Beautiful bready aromas, with tinges of alcohol spiciness, waft enticingly from the rocky, cream-color head. German malts flow sweetly across the tongue, brightened by green grape and cherry fruitiness.